Our primary means of client communication had just gone out. Our phone systems were down, again, and we were relying on email as the mechanism for clients to contact us. At West Monroe Partners, a high-touch managed services provider (MSP) and AWS Partner Network (APN) Standard Consulting Partner, our help desk is not only the frontline support for clients, but often the only IT staff available to the organizations we work with. Users expect to be able to pick up the phone and get their issues resolved quickly. Unfortunately, the phone system going down was not an uncommon occurrence for us. Over the prior six months, we had experienced multiple short outages and other issues. We were able to manage through those issues and rebuild relationships with clients, but each problem caused increased churn and took its toll on our service desk. While investigating potential alternatives to our current help desk telecom provider, we learned about Amazon Connect. Some quick math suggested a significant cost savings that, paired with the prospect of increased stability afforded by cloud platforms, got us approval to run a proof of concept (POC). Setting up Amazon Connect was straightforward and simple. To start, we used one of our available phone numbers. If this went well, we knew we would eventually need to port close to 100 of our existing client contact numbers. For this POC, however, just the one number would suffice. With the Amazon Connect Administrator Guide in hand, we launched Amazon Connect and began recreating the existing workflows we used to route calls through our desk. The interface was easy to configure. Using the live phone number rapidly provisioned through Amazon’s telephony services, we were able to test workflows quickly and easily. It was a stark contrast to the hoops we needed to jump through to change anything in our legacy system. Amazon Connect’s flexibility was a big reason why we became proficient so quickly. Drag-and-drop workflow interfaces, easy to modify (and business-ready) templates, and default routing profiles made it simple to get to parity with our current service desk routing structure. Actually, we were ahead of parity thanks to the enhanced routing features baked into Amazon Connect. A big Amazon Connect feature for us is the dynamic queue check functionality that verifies whether queues are staffed, and agents available, when determining client queue behavior. This allowed us to adjust “smart” routing on a sub-unit and per-client basis across teams, resulting in dynamic assignment to the best alternative agent at any given time. This added another layer of skills-based routing flexibility that aligned well with our team structure and multi-client managed services environment. Another key feature is utilizing out-of-the-box Amazon Connect Agent hierarchy functionality to provide more focused reporting to our service delivery teams. As an MSP, our service desk leverages agent groupings based on escalation tiers, functional technology areas, and client focus. With the same agent often spanning multiple groups, management and reporting can be challenging. With logical groupings created through the Agent hierarchy, and those groupings enable accurate, effective, and timely reporting across different sub-groupings. Additionally, there are agent role-based rules that allow for operational delegation of team lead/supervisor activities. With our teams broken out the way they are, it’s important to us that Amazon Connect allows for custom security profile creation and role-based access control. These don’t just affect specific modules or functions, but actions as well. The Amazon Connect approach to creating and defining custom security profiles has enabled us to delegate management actions safely and effectively. All told to this point, we had logged just under eight hours with Amazon Connect, or about a days’ worth of work. At the end of those eight hours, we had a fully functional prototype to demonstrate for our team. To be clear, our routing was straightforward, and other environments may take more time and effort to establish. Still, to have a working prototype in eight hours was a huge win for us. With such a rapid spin-up, we were able to start experimenting in Amazon Connect right away. We created emergency contact flows to shift interactive voice response (IVR) interactions based on major incident scenarios on a per-client basis. The ability to quickly switch active contact flow alignment per phone number is crucial for an MSP, and this functionality has been used to load balance volume during security incidents and outage scenarios. From the start, we were impressed with Amazon Connect’s interface and ease of implementation. With our prototype in place, we trained two of our supervisors on how to manage the system. Within 30 minutes of training, we had three people who could administer our phone system. For the previous three years, it was just one of us. More boxes checked thanks to Amazon Connect—ease of administration and risk reduction. We ultimately sold the POC on the potential cost savings, and while our single call metrics showed significant savings, we needed a larger scale test to validate our assumptions. With executive approval, we ran all help desk calls for West Monroe, about 1,000 employees, through Amazon Connect. With the higher call volumes, we learned some lessons and made updates to improve our service. This was easy to do given the simple interface, and system updates were transparent to the inbound callers. After hundreds of inbound interactions through the POC, we were confident our cost savings would be north of 75 percent. We received approval to port the existing number for West Monroe over to Amazon Connect, and additional approval to set up any new clients in the system. The port of phone numbers took a few weeks due to the time needed to switch numbers between providers. As we got closer to porting all of our clients, excitement for the change to Amazon Connect accelerated within our team. One of the help desk supervisors was a part-time musician and offered to create new hold music. Another help desk team member recreated all of our voice recordings. The supervisors also made slight adjustments to queue management, and the team saw the effects immediately, further building momentum for the system. In the six months since we began looking at Amazon Connect, our team is now fully transitioned to the new system. After a flawless migration with no impact to end users, our clients now run through Amazon Connect and we have deprecated the legacy system. We are currently saving more than 85 percent from our previous telecom spend. We’ve set up separate development, test, and production instances of Amazon Connect and are starting to extend the system. As our ITSM, we use ServiceNow—a fellow APN Partner—and we are building an integration with Amazon Connect to allow for screen pops within ServiceNow. AWS service integrations are intuitive as well. One of our developers created a custom softphone application that leverages the Amazon CloudFront content delivery network and Connect Streams API. These transform the Connect CCP into a completely bespoke and customizable implementation that will pull in additional backend call and real-time performance data and display it to agents. 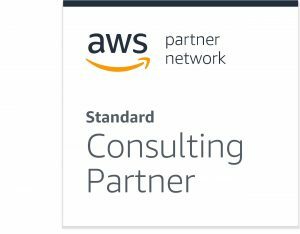 At West Monroe Partners, we’re confident that Amazon Connect will scale with us as our organization grows. Amazon Connect’s integration with other AWS services, the responsiveness of AWS Support, and the continued development of new services and integrations by AWS will enable us to evolve with the market. Moreover, the significant cost savings we’re seeing with Amazon Connect allows us to invest in the system to improve interactions for our clients. If you’re interested in learning more about our Amazon Connect journey, we’d be happy to discuss our implementation with you! West Monroe is an APN Standard Consulting Partner. They provide an uncommon blend of business-savvy consultants and technical experts who work together to achieve sustainable success.